Estimated pivot point is at a level of 1.2540. 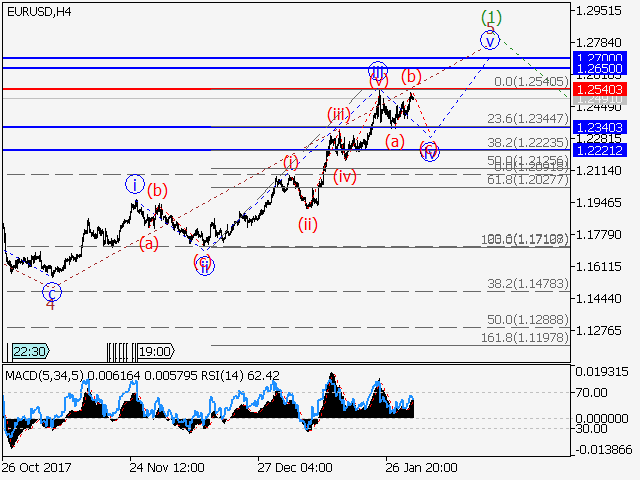 Main scenario: short positions will be relevant below the level of 1.2540 with a target of 1.2340 – 1.2220. Alternative scenario:breakout and consolidation above the level of 1.2540 will allow the pair to continue the rise up to the levels of 1.2650 – 1.2700. Analysis: Supposedly, the fifth wave 5 continues forming within the first wave 1 of senior level within the 4-hour time frame. Apparently, the third wave iii of 5 of junior level has been formed and a downward correction is developing now in the form of the wave iv of 5. If the presumption is correct, the pair will continue to drop to the levels 1.2340 – 1.2220. The level of 1.2540 is critical in this scenario. 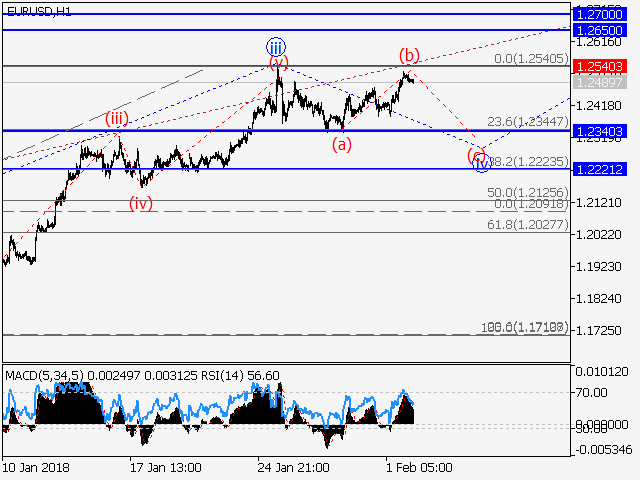 Its breakout will allow the pair to continue rising to the levels 1.2650 – 1.2700.